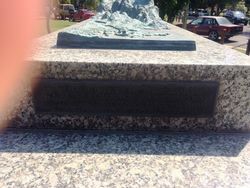 A monument commemorates prisoners of war who died in North Borneo during World War Two. 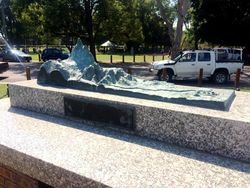 It commemorates those men who enlisted from the Hunter Region of New South Wales. 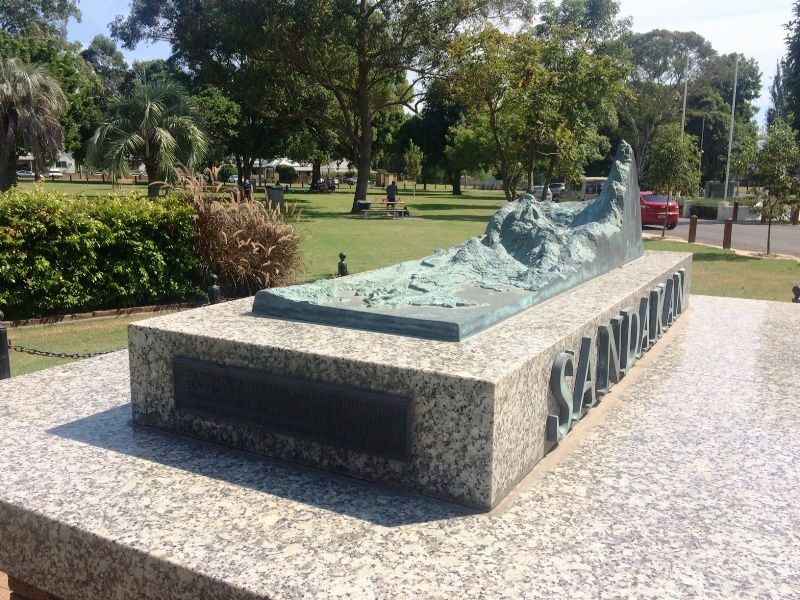 787 Australian servicemen died at the infamous Sandakan Prisoner of War camp in North Borneo in the three years from July 1942, or during the even more infamous Sandakan death marches of early 1945. 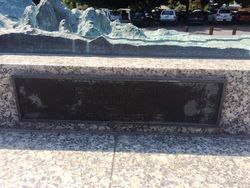 Monument characteristics: Brick rectangular platform topped with a granite with a brass relief map of the Sandakan and Ranau areas of Borneo including the route taken on the forced marches. The Sculptured Terrain Of Sabah Illustrates The Route Of The Death Marches, Shown By A Bronze Ribbon Between Sandakan And Ranau Which Was Substantially Swamp And Dense Jungle In 1945. 1800 Australians Of The 8th Division A.I.F. And 750 British Troops. They Fought Gallantly In The Defence Of Malaya And Singapore During World War II. Following The Fall Of Singapore, They Became Prisoners Of The Japanese And Were Transported To Sandakan In British North Borneo, Now Sabah, In 1942 To Construct An Airfield, Where 900 Died Of Ill-Treatment. By The End Of 1944, When Allied Forces Were Within Striking Distance Of Sandakan, The Japanese Command Ordered The Removal Of Prisoners Inland To Ranau 165 miles (265 kilometres) West. On 29 January 1945, 470 Prisoners Guarded By 500 Japanese Marched Towards Ranau. Those Unable To Carry On Were Killed. The Second March Comprising 532 Prisoners Left Sandakan On 29 May 1945, 183 Arrived At Ranau On 26 June 1945. Only Eight Survived From The First March. 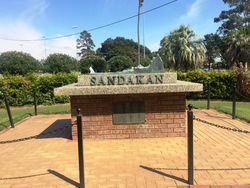 Of The 288 Prisoners Left At Sandakan There Were No Survivors. 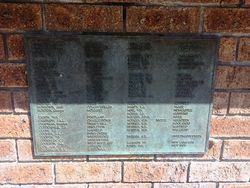 On 1 August 1945, The Surviving 22 Prisoners At Ranau Were Massacred. Six Who Escaped Were Rescued By Special Forces. 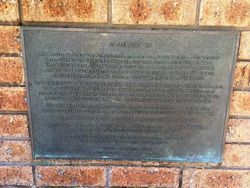 This Memorial Honours Those Men Who Enlisted From The Hunter Region Of New South Wales.